From October through early December more than 60 inches of rain fell in the state of Tamil Nadu, India and specifically in the city of Chennai. This is more than Chennai’s annual rainfall. The death toll from Chennai floods in India has exceeded 300 as the city went under water for weeks at a time. The coastal city of Chennai in southern India has endured its worst rains in over a century. It is estimated that over a million people have been displaced from their homes and thousands of those have lost everything they owned. 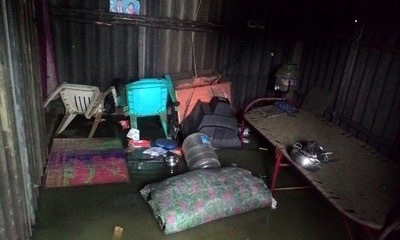 Floodwaters impacted most everyone living in and around the city; such as the electrical supply having to be shut down to over half the city to keep people from becoming electrocuted. Furthermore, telephone and public transportation were suspended several times during this period of torrential rains. It was also reported that the publication: The Hindu, was not printed for the first time since 1878. Even Chennai’s International Airport had to be closed down for several days because the runway and tarmac were seven feet under water. Those of you, who have followed Master’s Men international presence, know that the city of Chennai is close to our heart. We were in Chennai in March of 2015 to spend time with Vinoth Paul and help him train leaders who have a heart to reach and disciple men wherever they have influence in India. In 2013 Vinoth began working with four other men as he walked through M3 (The Master’s Men Method) – a six week course that allows men to step back and assess their own growth and outreach methods before stepping forward to reach other men for Christ. Today, Vinoth and those four men have continued to multiply teams of men …there are now 110 teams consisting of more than 1000 men! Needless to say when we began receiving reports of the devastating floods in Chennai we became very concerned. 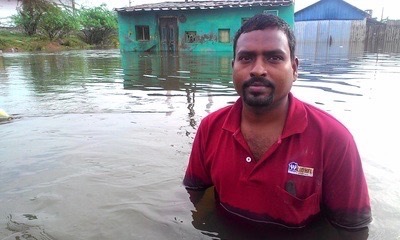 Unfortunately, Vinoth and his wife, Pavithra have been deeply impacted by the flooding. Fortunately they are alive and safe but are in a state of shock, knowing they must start over with only the clothes on their back. The following are a few of the words Vinoth expressed to us through several email communications in December 2015. Vinoth has proved to be a faithful servant of God and we are privileged to come along side him to encourage and resource his ministry to men in India. 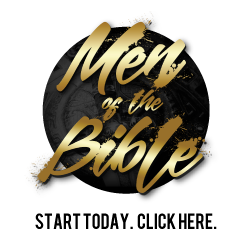 His resolute is strong and has long desired to see 250 teams of men by the year 2018; men who are engaged in reaching and discipling men for Christ. Please consider giving a special gift to our international fund to help Vinoth and Pavithra begin to rebuild their life. Together we can take this heartbreaking story and change it into a heartwarming story. They need everything from clothes to housing. Every dollar given will go directly to help rebuild their life and put them back on solid footing for continued ministry to men! 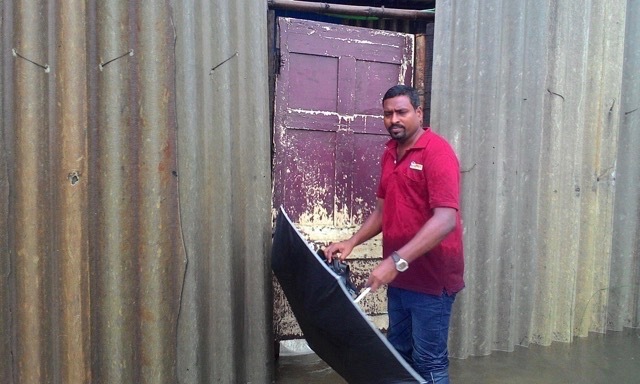 It would be great to see Vinoth and Pavithra move to a safer location, nearer to the city where not only would they not be faced with flooding waters next time torrential rains come to the area, but closer to more ministry opportunity.